Although it may seem counterintuitive, the “law and order” response by our politicians only intensifies the problem. Instead, they might turn to Charles Darwin’s theory of evolution to glean insight as to why these “common sense” reactionary solutions often are counterproductive. As illegal drugs become easier to obtain and more potent, politicians respond in a knee-jerk manner by ramping up law enforcement. After all, drugs are bad so why not escalate the war against drugs? Politicians get to look tough in front of voters, the drug war bureaucracy is delighted with ever expanding budgets, and lots of low-level bad guys get locked up. Everyone wins – including, unfortunately, the major drug traffickers. As politicians intensified the drug war decade after decade, an unintended consequence began to appear. These “get tough” policies have caused the drug economy to evolve under Darwinian principles (i.e., survival of the fittest). Indeed, the drug war has stimulated this economy to grow and innovate at a frightening pace. By escalating the drug war, the kinds of people the police typically capture are the ones who are dumb enough to get caught. These criminal networks are occasionally taken down when people within the organization get careless. Thus, law enforcement tends to apprehend the most inept and least efficient traffickers. The common street expression puts it best: “the dealer who uses, loses.” Conversely, the kinds of people law enforcement tends to miss are the most cunning, innovative and efficient traffickers. Politicians cannot hope to win a war on drugs when their policies ensure that only the most efficient trafficking networks survive. Not only do they survive, but they thrive because law enforcement has destroyed the competition for them by picking off the unfit traffickers and letting the most evolved ones take over the lucrative trafficking space. The destruction of the Medellin and Cali cartels, for instance, only created a vacuum for hundreds of smaller (and more efficient) operations. Now the police cannot even count the number of smaller cartels that have taken over – much less try to infiltrate and disrupt them. Moreover, the police have constricted the supply of drugs on the street while the demand remains constant thus driving up prices and profits for the remaining dealers. Increasing drug interdiction creates an unintended price support for drug dealers which, in turn, lures more participants into the drug economy. Of all the laws that Congress can pass or repeal, the law of supply and demand is apparently not one of them. A public health approach to dealing with illicit drugs should take precedence over “law and order” approaches. Treatment and prevention must take priority over interdiction and eradication because drugs are a demand-driven problem. Politicians, however, continue to devote most drug funding toward cutting the supply. The proposed aid package for the notoriously corrupt Mexican drug war establishment would be better spent on providing treatment for addicts in the United States. Over reliance on politically expedient “get tough” policies will only continue an endless spiral of drug trafficking evolution. Sanho Tree is a Fellow at the Institute for Policy Studies in Washington, DC and directs its Drug Policy Project. The Institute for Policy Studies is the only multi-issue progressive think tank in Washington, D.C. Through books, articles, films, conferences, and activist education IPS offers resources for progressive social change locally, nationally, and globally. "it is unfortunate that the consultation paper’s ‘key facts and evidence’ section appears to focus on trying to convince the reader of success and progress; rather than providing an objective review and presentation of the current evidence. The ACMD found the consultation paper self-congratulatory and generally disappointing. It is of concern that the evidence presented, and the interpretation given, are not based on rigorous scrutiny." And now from the Statistics Commission following a complaint from Transform. For those not familiar with the Statistics Commission it was set up in June 2000 to 'help ensure that official statistics are trustworthy and responsive to public needs', to 'give independent, reliable and relevant advice' and by so doing to 'provide an additional safeguard on the quality and integrity' of official statistics. Transform's complaint was made on the basis of our analysis of the statistics in the consultation document Drugs: Our Community, Your Say. 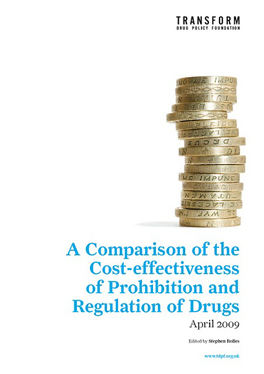 You can read this detailed critique in the Transform briefing: Drug policy 1997-2007: the evidence unspun and discussion in the Transform submission to the consultation. The Home Office has been accused of misusing its statistics on drugs in order to cover up failures in policy. The independent body responsible for providing and assessing government statistics has now asked the Home Office to "carefully consider" its handling of the figures. In July the Home Office released a consultation paper - Drugs: Our Community, Your Say. It contained a section called "key facts and evidence" in the annexe which put a very positive gloss on the government's policies. Other statistics indicating that the government had failed to achieve its targets were obscured, according to drug reformers. Danny Kushlick, director of the campaigning Transform Drug Policy Foundation, complained to the Statistics Commission. The chairman of the commission, Prof David Rhind, accepted many of his points and has asked the Home Office to explain itself. "We think that most people would expect it [the annexe to the document] to provide a balanced presentation of the relevant statistical and other evidence," Rhind said in a letter to Sir David Normington, permanent secretary at the Home Office. "This particular annexe is more like a briefing document. Where a target has been met or exceeded, as is the case with the target to increase participation of problem drug users in treatment programmes, this is highlighted ... but where the target has been missed or seems likely to be missed the relevant information is presented in a low-key way without acknowledging that a target exists." Rhind added that "issues of public trust in official statistics" have recently been considered by parliament. He has suggested that the Home Office should "carefully consider" the criticisms. Kushlick said the Home Office's use of statistics was a symptom of the government's refusal to accept that its drugs policy was not working. The government had failed to achieve its target of reducing class A drug use among young people but failed to mention this, he said. He added: "One of the outcomes of the government's unwillingness to allow public scrutiny of the overwhelmingly negative outcomes of current policy is that the debate on potential alternatives to prohibition are dismissed as unnecessary and irrelevant. This is despite the 10-year drug strategy delivering almost the exact opposite of its stated goals, costing billions a year, and creating over £100bn more in crime costs over the past decade, according to the government's own figures." A Home Office spokeswoman said that it had responded to Rhind's letter and stood by the statistics quoted "which are an accurate reflection of current progress with the existing drug strategy". She added: "The Home Office takes very seriously the need to ensure that we always publish accurate and robust data ... we are making progress in reducing all drug use amongst young and vulnerable people. "The level of class A drug use has stabilised, and is therefore not increasing. In order to fully meet our target of reducing this class A drug use by young and vulnerable people a cross-government action plan has been developed to improve prevention, education and access to treatment." Its something of a shame that this story emerges only on Christmas Eve when it is unlikely to get much political traction as the drug policy world, with a few sad exceptions like myself, are wrapping presents and basting the turkey. It should have been called Drugs: Our Propaganda, Your Say* (*will be ignored). The whole sorry saga looks set to continue into the New Year as the Home Office continue to stubbornly defend their hopelessly misleading cherry picked interpretation of the statistics as the Home Office representative quoted in the Guardian seems determined to do. There have been three highly critical national media stories (two in the Observer and now in Guardian) on this already, and there is much more to come in the New Year (oh yes), not to mention the growing possibility of a Judicial Review forcing the Home Office into the humiliation of having to do the consultation all over again. Properly. Its all completely unnecessary of course (and I, for one, would much rather be drinking sherry and singing Carols around the piano with my granddad). This isn't about point scoring, its about coming up with effective responses to the drug related problems we face. It doesn't matter what your policy position is in the drugs debate, one thing is absolutely certain: it is in no ones interest to have debate or policy making on the basis of misrepresented data and politically tainted Home Office propaganda. This is one issue on which we should all have a policy of zero tolerance. Drug traffickers in a Rio slum opened fire on a helicopter carrying a Santa to a children's party, apparently mistaking it for a police helicopter, police said on Tuesday. Yeah, those drug traffickers are just lucky Santa Claus didn't go all Chuck Norris on them. You never know what kind of firepower he keeps on hand to protect his monopoly. All I want for Christmas is a world free of drug war violence and disorder; a world in which men in big red suits can fly helicopters over Rio without being used for target practice by machinegun-toting thugs with free reign over the slums; a world where a man can frolic with carpenter elves and flying reindeer without getting his mistletoe confiscated by the government; a world in which a pungent piney aroma emanating from the den no longer gives police probable cause to search our cozy Christmas cabin. So happy holidays to you all, whether hippie or hypocrite, activist or antagonist. May the New Year bring hope to the hopeless and clues to the clueless. Zogby polling data released today asked 1,028 likely voters, "If hard drugs such as heroin or cocaine were legalized, would you be likely to use them?" Ninety-ninety percent of respondents answered, "No." Only 0.6 percent said "Yes." The remaining 0.4 percent weren't sure. The results are similar to usage rates occurring under today's "drug war," as measured by the federal government's National Survey on Drug Use and Health (formerly the National Household Survey). The 2006 NSDUH found 0.3 percent of the population had used heroin in the past month and 2.4 percent had used cocaine. Even for cocaine, the numbers are compatible, because Zogby surveyed persons aged 18 years and up, while NSDUH begins with age 12; and because of the poll's statistical margin of error of 3.1 percentage points. A comparison of drug use rates in countries with criminal penalties for drug use with the drug use rates of countries that have decriminalized personal use also suggests that policy may play only a secondary role in determining use rates. For example, in the Netherlands, where marijuana is sold openly in the famous "coffee shops," 12 percent of young adults age 15-24 reported using marijuana during 2005, as compared with 24 percent in neighboring France, where marijuana is an arrestable offense, according to data compiled by the European Monitoring Center for Drugs and Drug Addiction.In the United States, where police make nearly 800,000 marijuana arrests each year, young adults age 18-25 in the 2004-2005 survey year reported past-year marijuana use at the rate of 27.9 percent. "Prohibition is sending hundreds of billions of dollars per year into the global criminal underground. That money fuels violence and disorder on the streets of our cities, while simultaneously helping to finance international terrorist organizations. Meanwhile, inflation-adjusted cocaine prices are a fifth of what they were 30 years ago, and any kid who wants to join the Mafia can sign up to deal it in his school. Addicts are harmed by the prohibition policy worst of all. It's time to stop shooting ourselves in the feet, and to control and regulate drugs through legalization." The Transnational Institute in the Netherlands, one of the worlds leading centers of drug policy scholarship, has today co-signed a letter and resolution sent to the Dutch Prime Minister and relevant parliamentary commissions, stressing the need for an active Dutch involvement in the UN's 10 year drug strategy review process and specifically to use the window of opportunity offered by the 10 year strategic review to open the discussion about the UN conventions that are an obstacle to further developments in Dutch cannabis policy - specifically the issue of legal production. The resolution has received massive media coverage in the Netherlands today in part because it has been signed by Van Agt (a former Dutch prime minister), a number of ex-ministers, five mayors and several police chiefs. The letter presents the resolution that resulted from the October 31 invitational conference on Dutch cannabis policy in The Hague, chaired by Maastricht Mayor Leers. The resolution calls for moves towards legal regulation of cannabis production which, anomalously, remains illegal despite the tolerance for and licensing of cannabis sales in 'coffee shops', the so called 'back door problem'. There has been a Parliamentary majority for such a move for a number of years but the Government has been reluctant to take the step as it would be in clear violation of the UN drug treaties, which the the existing policy of tolerance for small scale supply and use arguably is not. Unfortunately an english translation of the resolution will not be available for a few days (It will be posted here when it becomes available - in the mean time a rather garbled babel fish translation is in comments). Dutch speakers can read the resolution and accompanying documentation here. I'm in New Orleans at the Drug Policy Alliance 2007 International Drug Policy Reform Conference, and it was a fascinating opening day featuring as its center piece an address from Antonio Maria Costa, Executive Director,United Nations Office on Drugs and Crime, followed by a Q&A session. Transform blog regulars will have read about some of Costa's peculiar comments before (In the Independent on Sunday, on Swedish drug policy, and a particularly strange recent speech in Spain). In the context of some of his previous comments, and indeed his role overseeing the UN drug conventions that enshrine prohibition into the domestic laws of over 150 countries it may seem strange that he would accept and invitation to the worlds largest conference discussing the problems caused by prohibition and more just and effective policy alternatives. So his decision to attend must be applauded and is a historic first for the reform movement, but as he himself commented humorously there was an element of 'lamb to the slaughter' about proceedings. I invite you all to imagine that this year, all drugs produced and trafficked around the world, were seized: the dream of law enforcement agencies. Well, when we wake up having had this dream, we would realize that the same amount of drugs - hundreds of tons of heroin, cocaine and cannabis - would be produced again next year. In other words, this first dream shows that, while law enforcement is necessary for drug control, it is not sufficient. New supply would keep coming on stream, year after year. So let's dream a second time. Let's dream that, by some miracle, we can convince farmers around the world to eradicate the thousands of hectares of drug crops, replaced by the fruits of development assistance (in Afghanistan, Colombia, Morocco, and Myanmar). A great dream of course, but yet again one that would not on its own solve the world drug problem. Why? Because when we wake up after this second dream we would realize that other sources of supply would inevitably open up somewhere else on the planet, to satisfy the craving of millions of drug users around the world. Whilst then proposing a the rather confusing argument (that because one prong - supply reduction - was futile, you therefore needed a two pronged approach - i.e .supply and demand reduction) it was a significant point for the head of the UNODC to concede. He sought to distance himself from the notoriously stupid drug free world motto of 1998, and the phrase war on drugs, whilst also stating his support for effective treatment, prevention, eduction and harm reduction (although there was an unstated suggestion that these were policy elements that were the somehow the exclusive preserve of the prohibitionist position). But at least there was an unambiguous statement of support for harm reduction, which was welcomed after the embarrassments of the 'Dear Bobby' letter episode . "I know your argument on this last point. Prohibition causes violence and crime by creating a lucrative black market for drugs: so, legalize drugs to defeat organized crime. Thus far, as an economist, I agree with you. But this is not only an economic argument. Legalization may reduce the profits to organized crime, but it will also increase the damage done to the health of individuals and society. Evidence shows a strong correlation between drug availability and drug abuse. Let us therefore reduce the availability of drugs - through tackling supply and demand - and thereby reduce the risks to health and security." His comments received more detailed scrutiny in the Q&A session which followed, at which a number of leading drug law reformers, including Pat O'Hare (IHRA) Alex Wodak (Australian Drug Foundation) , Craig Reinarman (UC Santa Cruz), and Martin Jelsma (TNI Netherlands), offered a critical commentary on his speech. At this point, faced with what were effectively un-answerable questions and observations, Costa slipped into evasive politician mode. A good example was when he was challenged, with the example of the Netherlands, on a comment he made about how availability correlates to prevalence of use. The point made to him was specifically that the Netherlands effectively had free cannabis availability, but average to low (European) levels of use. Costa's response was to accuse the Netherlands of 'poisoning the rest of Europe' with its amphetamine production. Whether this is true or not it had no bearing on the availability/prevalence question asked re cannabis. Costa preferred to reiterate his rather unpleasant sound bite that countries 'have the drug problem they deserve' (explored here). Overall it was fairly predictable, and the significance really lies in the fact that it happened at all. How significant in the longer term is impossible to guess, but it does at least suggest that the movement is being taken seriously at the highest level and a decision has been made to develop and implement some sort of engagement strategy. 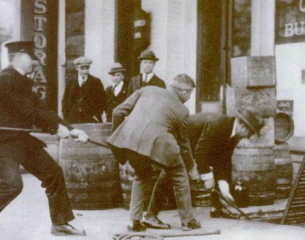 That said, if this is the strongest factual and analytical defense of prohibition (and its institutions) that can be mustered then we can perhaps be a bit more optimistic, and we must assume they are very worried. 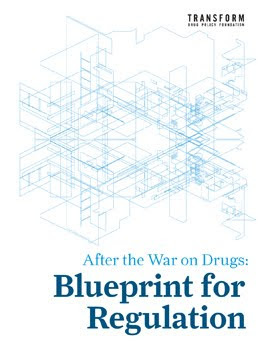 The the Washington DC based think tank, the Center for Strategic and International Studies published a paper by Sidney Weintraub last month, titled 'The high cost of criminalizing drug use' that I have only just come across. "The “war” on narcotics continues to be waged with little to show for it other than occasional successful skirmishes (like Mexico’s recent drug seizure) at great cost in self-destruction and deep damage to other countries." "Limiting drug usage after decriminalization would cost many billions of dollars a year for education and treatment, but markedly less than the costs of current policy." "Decriminalization of drug use is a controversial recommendation. My reaction over the years was to reject the idea when it was proposed by others. What has turned me around is the reality that the current policy of criminalizing drug use is not working—and cannot be successful. If one drug shipment is interdicted, other shipments and substitute drugs are available. Burglaries and muggings by young offenders are motivated by the need for money to buy a fix. The rents to drug dealers are so high that there are no practical limits on their ability to bribe officials; and those who refuse to be bribed are often killed. In developing countries like Mexico and Colombia, the dealers can buy their own armies and outgun government enforcement personnel. My conclusion is that in a democracy—where drug offenders are not summarily put to death by the authorities—the only feasible approach is to eliminate the rents and treat and educate the addicts. This is no cure-all, but is preferable to efforts at prohibition of narcotics, something we learned years ago in the case of alcohol." "CSIS does not take specific policy positions. Accordingly, all views, positions, and conclusions expressed in this publication should be understood to be solely those of the author"
it remains significant that they published this paper and is indicative of a new level of mainstream institutional engagement in the the broader critique of prohibition from across the political spectrum. Contrary to what you may have read from some opponents of progressive reform, this is not how it's going to happen. As reported in the Observer today: "The government was at loggerheads with its own advisers last night over its new drugs policy." "An influential Home Office-backed committee raised serious doubts about the consultation process behind the 10-year strategy which will be unveiled in April. The Advisory Council on the Misuse of Drugs (ACMD) described the process as 'self-congratulatory and generally disappointing' and questioned the credibility of much of the evidence presented to government." The castigation appears in the Overall Comments (p3) to the ACMD's submission to Government on its strategy review. It is a withering attack in an otherwise fairly innocuous document. There has been widespread condemnation from across drugs field of the strategy consultation p since it made its appearance in July this year. However, the significance of the Advisory Council reiterating this condemnation will not be lost on the Government. This is a crucial time for the Advisory Council as it flexes its muscles in the upcoming review of cannabis reclassification in February next year. More importantly though the Council loses its incumbent Chair Sir Michael Rawlins next year and takes on six new members in the next few months (currently being appointed). The Council's remit is to advise ministers on drug policy and law and specifically on the operation of the Misuse of Drugs Act 1971 (MDA). The ACMD's position was undermined in 2006 when the Science and Technology Select Committee called into question the entire scientific evidence base for the drug classification system, in their report 'Making a Hash of it'. Initially the Council acted as if they had given it a clean bill of health, but do now appear to be taking at least some of the criticisms on board. Transform has been calling on ACMD for years to evaluate both the classification system and the operation of the entire MDA and indeed prohibition itself. As ACMD suggests in its comments, an adequate definition of 'harm' is required in order to develop an effective drug strategy. At the least the ACMD needs to publicly state which harms are caused by drugs and which are caused or exacerbated by the enforcement of the MDA. If the Council is to reassert itself as the much needed bastion of evidence and rationality within Government, it will need to step up a gear and proactively begin its own work of exposing the MDA to scientific evaluation (if necessary demanding the required resources and capacity from the Home office). If it fails to do this then agencies in the NGO sector - including Transform - will need to step in to do their job for them.